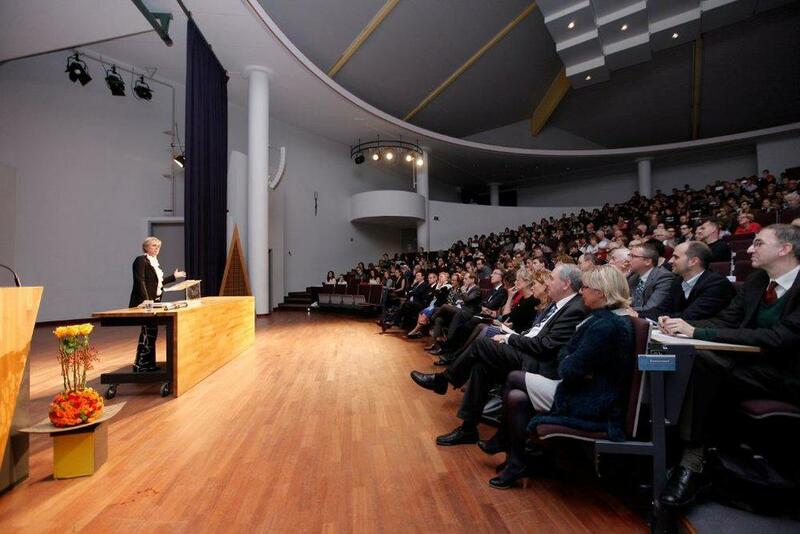 As part of our collaboration with KU Leuven (University of Leuven, Belgium), ECF President HRH Princess Laurentien of the Netherlands gave a talk on 3 November 2014, part of the series of "Lectures for the 21st century", on the inherent strength of youth (in Dutch): De eigen kracht van jongeren: niet grijs, wel wijs. 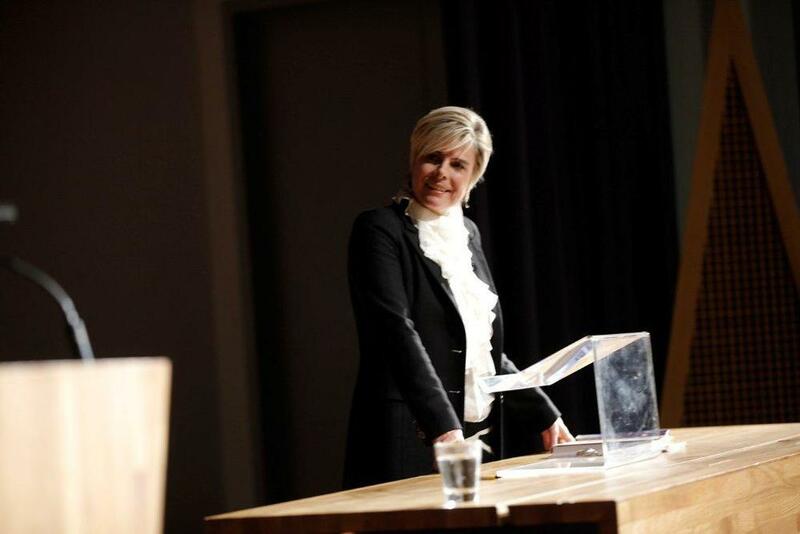 During the lecture, attended by more than 500 students from the KU Leuven, HRH Princess Laurentien talked about youth leadership, focusing on the question of how can they sustain and develop their creativity after their studies and during their early careers. Continuing to follow their own intuition while fostering collaboration was her main advice. 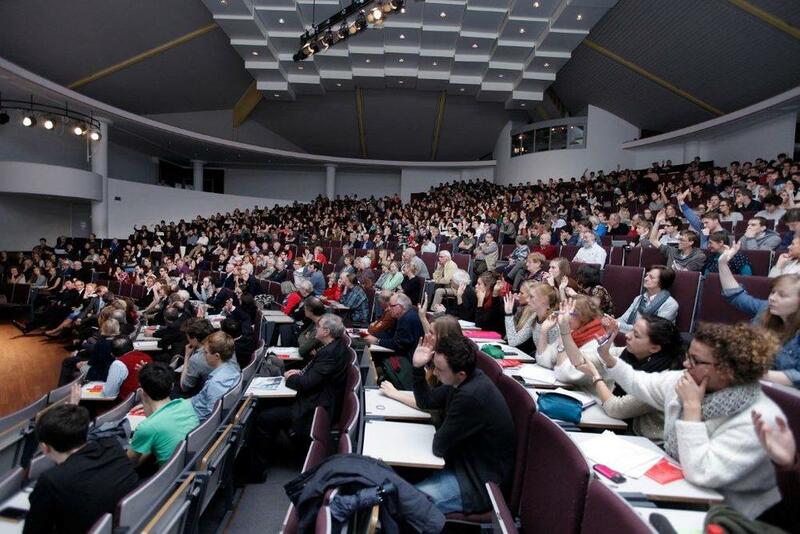 The students responded enthusiastically to the lecture, as evidenced by the fascinating question and answer section that followed.